The story so far: James Wallis, old hand in the British RPG industry, takes to Kickstarter to fund his return to RPG design. His campaign is very successful, based largely on his good reputation among gamers; he then pisses away that reputation on a massively delayed delivery process which involved multiple broken promises, several long stretches of total silence and non-interaction with backers, and an honest-to-goodness tie-in with Far West. Eventually, some products crept out of the darkness, and in this part of the saga I am going to take a look at them and then offer some final thoughts. * That said, his reputation is mostly built on his role in publishing the works of others – WFRP, Nobilis, Dragon Warriors – but he also is reasonably well-known for Once Upon a Time – a game he designed with a group of collaborators – and The Extraordinary Adventures of Baron Munchausen, which as I’ve outlined in my review of it is actually kind of a riff on Once Upon a Time‘s design ideas. This is a Kickstopper article I took great care in writing, and had to think carefully about publishing. Ultimately, although I wasn’t satisfied with my experience with this Kickstarter, I did end up getting my money back – more than my money back, in fact – and I could just walk away from all of this. However, at the same time I also believe there is a strong public interest component in laying out this information. I’m not, at the end of the day, setting out anything which isn’t to a large extent a matter of public record, or which hasn’t already been disclosed to a sufficiently great number of project backers so as to dissolve any expectation of confidentiality – but the story has unfolded sufficiently long and slow that I think there is value in gathering the facts together and presenting them like this. This article is necessarily going to involve a great deal of criticism of the actions of the initiator of the Alas Vegas Kickstarter project, James Wallis. Whenever people complain about the outcome of a Kickstarter they’re very quick to cry “scam” or “fraud”, but I don’t want to do that, not just because I have no evidence that it is the case but because all the evidence I have available to me suggests the opposite. On the basis of all of my interactions and research into this situation, I genuinely do not believe that James set out to cheat or defraud anyone, nor do I think anyone has been deliberately defrauded in the process of this Kickstarter. I believe that his intention was to do exactly what he said he was going to do and to meet all of his promises. The fact remains, however, that it taken him extraordinarily long to do some of the things he said he was going to do, some of those things remain still not done even years after the fact, and promises and commitments he made to his backers have undeniably been broken. In fact, I think it’s a matter of general interest how someone who began a project with essentially good intentions, a reasonable plan for completion, and the core creative task for the project already largely completed could ultimately end up alienating a great many of their backers through their actions, communications, inaction and lack of communication. Moreover, it’s also a case study of someone for whom Kickstarter success turned out to be more damaging than failure. It would be easy to write a hit piece if James Wallis seemed to be taking some sort of wry joy in frustrating and enraging his backers, but the truth seems to be quite the opposite. The process of getting the core Alas Vegas product finished seems to have been a living nightmare for Wallis. It injured him in a way I’ve rarely seen in other Kickstarters – or perhaps which other Kickstarter project owners are simply less transparent about. Bizarrely, one of the reasons I’d never fund another James Wallis-helmed Kickstarter is because part of me feels like it would be cruel to do so – enabling exactly the sort of agonising process that Alas Vegas took would do more damage to him than his project failing to fund in the first place. If I saw Wallis attempting another Kickstarter in future, I think I’d feel about as bad as I would if I witnessed him committing an act of public self-harm, because on a certain level that’s exactly what it would be. The thing is, I don’t think Wallis is unique. The creative process is different for everyone, and for a very few it can seem, from the outside, little different from self-torture. The mistakes and questionable choices made during the Alas Vegas Kickstarter include some decisions which I cannot fathom the logic of, but also a great many which are completely understandable, and which other creators could well make in similar circumstances. On top of that, I think a number of the issues the Kickstarter ran into arise not from any actual objective mistakes made by Wallis and are more of a byproduct of his preferred method of working not really being right for the Kickstarter format. 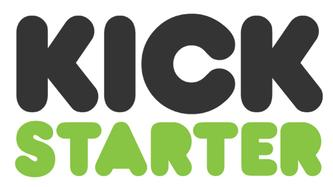 Perhaps by telling this story, other creators can take this experience and apply it to their own projects and their creative process, and make a call on whether Kickstarter is actually the right platform for their ideas. On the other hand, Wallis also made a number of unforced errors, and his behaviour towards his backers is about as far from “best practice” as it’s possible to get. I don’t think he is a scam artist or a fraudster, but I do think he’s deeply unreliable and highly unprofessional, and in particular exhibits avoidant behaviour which makes it very difficult to discuss matters with him when things are going wrong. This isn’t even an isolated incident – in the course of this saga we’ll encounter at least one situation where he exhibited all of those traits in relation to a completely different project. In the unlikely event that Wallis attempts another crowdfunding project, I think people need to know how this one went so they can make an informed choice as to whether they support his future endeavours. Personally, I wouldn’t.